If you are not familiar with Plex then you should take a look at their website. What this explanation leaves out is that Plex will handle all of the details for you fairly seamlessly. Whatever format your collection is in, Plex will automatically ensure that it is compatible with whatever device you are using to view the collection. First I will explain how to install it on FreeNAS and then I will talk more about the software itself. While my existing FreeNAS server works well and has not had a single problem, there are some things I wish I had done differently. Thus I present to you version two of my FreeNAS server. * Do not use this case. Get the SuperChassis 743TQ-865B-SQ instead. The Steam Link is a counterpoint to the Steam Machines that were announced previously. 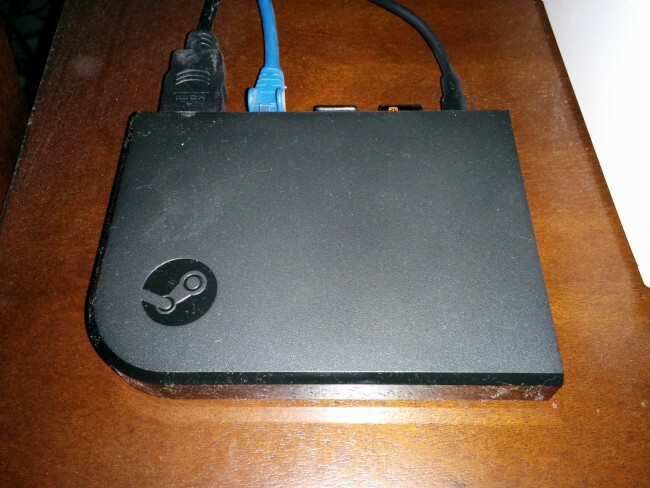 Unlike a Steam Machine, HTPC running Steam, or a PC running SteamOS, Steam Link will not run any games. Instead, it leverages your existing desktop through Steam In-Home Streaming. This allows the Steam Link to be small, low power, and low cost. Now that I have Windows 8 installed on my desktop, I will be installing encrypted Arch Linux and dual booting between the two. I have added more memory to the machine and am reusing the SSD from my original encrypted install. Because I am dual booting and this machine supports UEFI I am electing to reinstall from scratch. The new specs are as follows. Much of the install will be similar. I will clarify the differences as they come up. The first step in the process is to securely wipe the drive. My preferred tool for this is Darik’s Boot And Nuke. While DBAN does not guarantee SSD data removal, it does implement the US DoD 5220.22-M standard. According to this paper that results in less than a 4.1% chance of recovering any data. But in this case I am using dm-crypt to erase the drive by creating an encrypted container and filling it. This provides the benefit of obscuring the upcoming usage patterns of the drive. Either option is a lengthy process and best run overnight. I’ve been using Steam for some time now. While it is a form of DRM, it actually provides benefits to the end user unlike most DRM. Since I had a spare machine I decided to give SteamOS a try. I am using the same machine that I have installed Arch on. I swapped the SSD for a 500GB hard drive. I am unable to use the regular SteamOS installer as my machine does not support UEFI. Fortunately, Valve provides a SteamOS iso that supports BIOS. Unfortunately, the first installation did not complete. The installer gave me an error message that simply said the base system could not be installed. Upon further research, I determined that SteamOS only contained the latest video drivers. My HD 4350 was not supported. When we last left our Arch Linux install we had a lovely command prompt. This is fine for a server, but as this is a desktop, it would be nice to have a GUI. We will be installing Xfce. I started using Xfce when looking for a lighter weight GUI than KDE or Gnome. Openbox and Fluxbox are certainly lighter but require more configuration and setup than I prefer. Xfce was a nice compromise. Light enough for my needs while still remaining a full desktop environment. 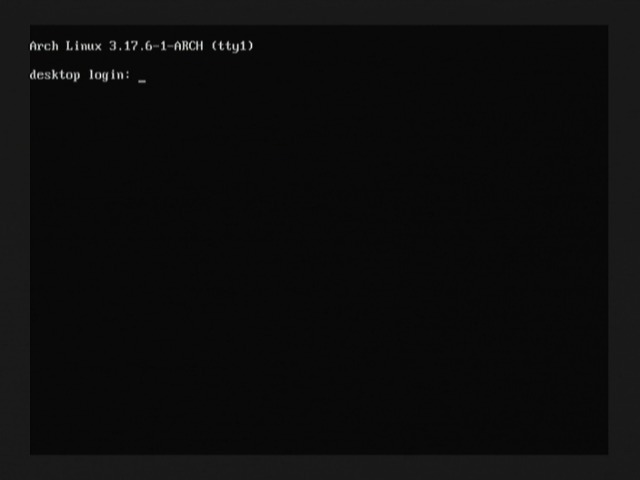 This article will document the decisions and process of my building an Arch Linux desktop. Arch Linux is a rolling release distro. There are no specific releases as there are with Fedora, Ubuntu, etc. Due to this I will not be posting a step by step procedure. That is covered very thoroughly in the Beginners’ guide located on the Arch wiki. I will be discussing the choices that I make and why I make them. I am re-purposing some hardware that I had laying around for this build. Last week Firefox began blocking the Flash plugin due to a vulnerability. Upon visiting YouTube I was greeted with the following error. 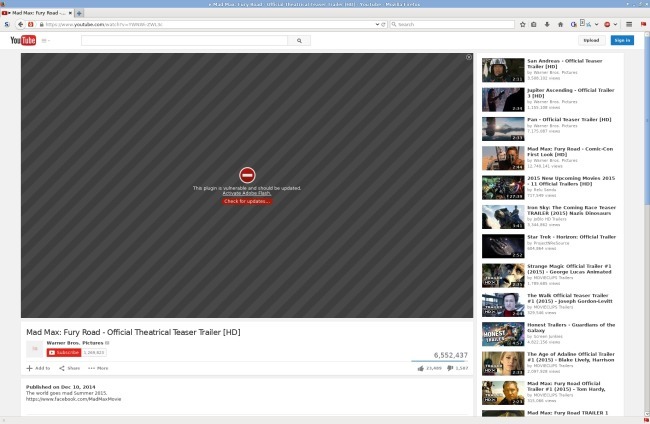 At this point I decided to try out the HTML5 version of YouTube. I had looked into it when it first debuted but ultimately decided to stick with the Flash version. UPDATE: I have replaced this server with a newer build. I have had quite a few people ask me about my FreeNAS build, so here it is in all of it’s glory.